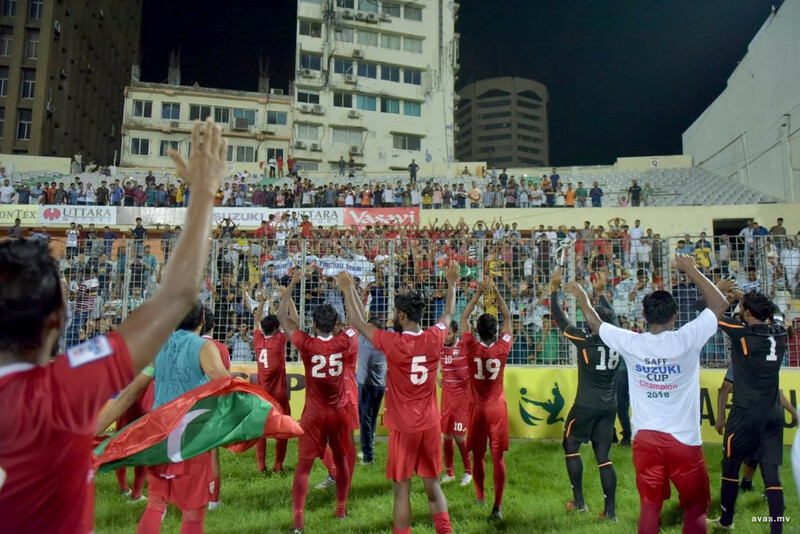 Maldives government has declared Tuesday a public holiday to celebrate the country's win in the SAFF Suzuki Cup. A young Maldives football team beat arch rivals India 2-1 on Saturday Maldives to clinch the region's most coveted footballing prize. President Abdulla Yameen Abdul Gayoom had declared a public holiday to allow the whole country to welcome the team set to arrive on Tuesday. The victory by Maldives national football team on Saturday marks the first championship title after a decade.